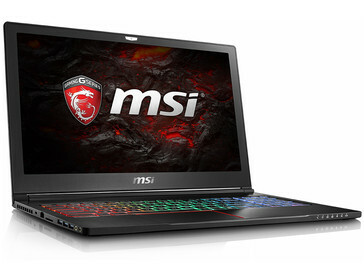 MSI is one of the first manufacturers of gaming notebooks to announce its full lineup of gaming systems with new Nvidia GeForce GTX 10 GPUs based on the Pascal generation. 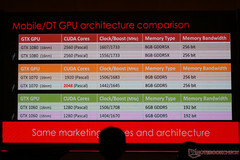 We have all the details. 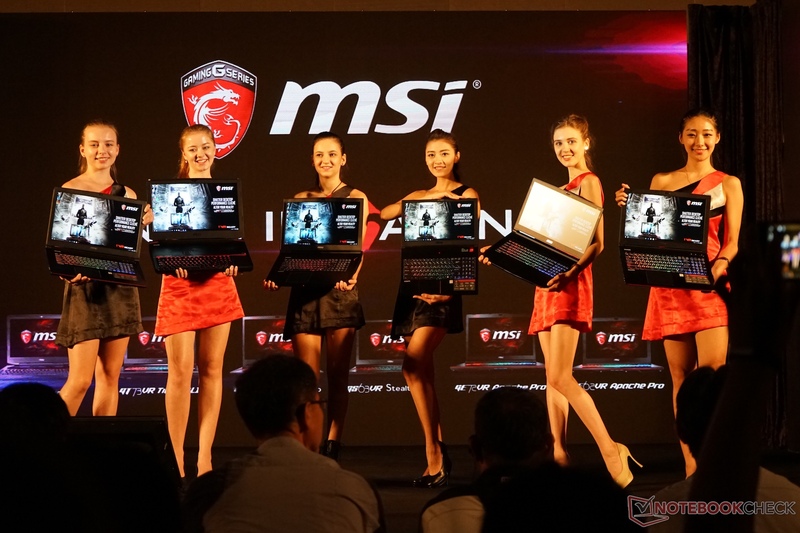 MSI already showed its new lineup of gaming notebooks in Taipei in the end of June. Besides the latest and most powerful Core i7 processors from Intel, they are also equipped with the highly anticipated Pascal GPU generation from Nvidia. The high-end gaming notebooks from the new series MSI GT73S and GT83S are the successors to the notebook series MSI GT72(S) and GT80(S) and were already shown in Taiwan, just like the mobile systems from the series MSI GS73, GS63, and GS32. 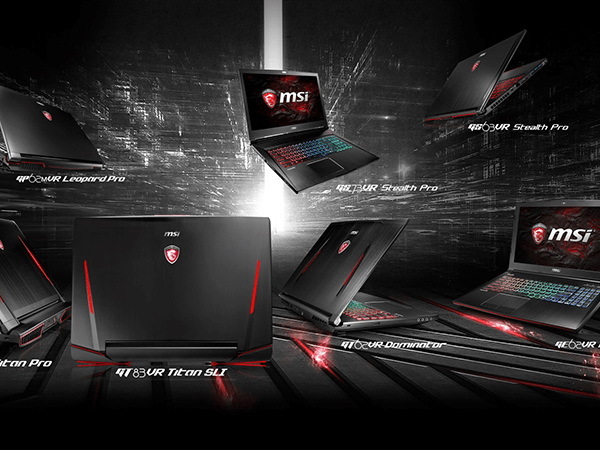 Now it gets more interesting: MSI introduced its full lineup of gaming notebook just in time for the Gamescom 2016. 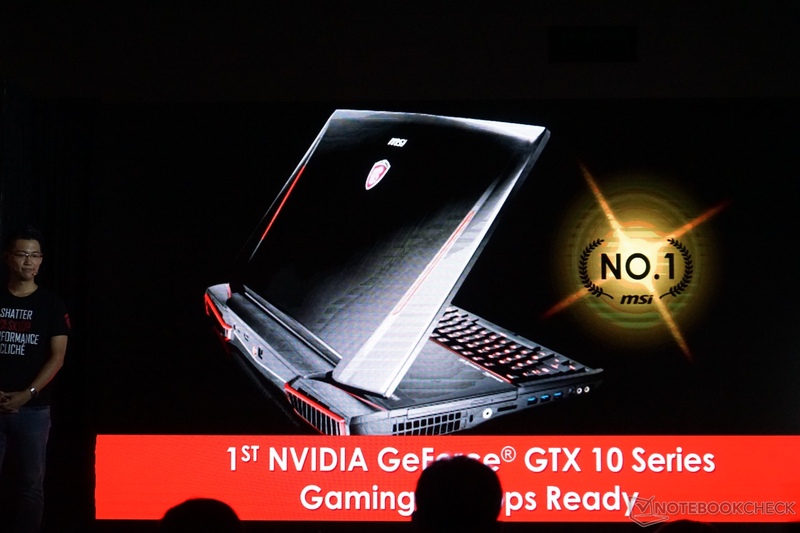 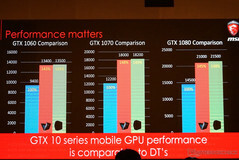 And as expected, the new gaming notebooks offer a lot of GPU performance. Because of many new versions, we created an overview with all new SKUs for the U.S. market. 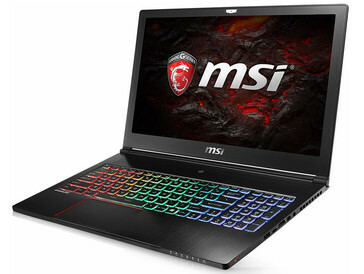 The MSI GT73VR is an extremely powerful 17.3-inch gaming notebook with an SLI configuration, which is equipped with Nvidia's new GeForce GTX 1070 SLI. 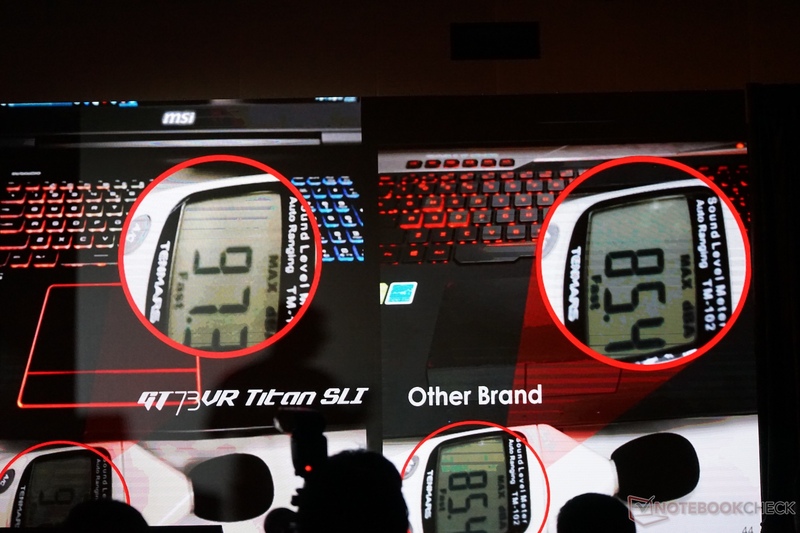 According to MSI, the performance of the GT73VR Titan SLI will be sufficient for smooth gaming in 4K settings on three monitors. 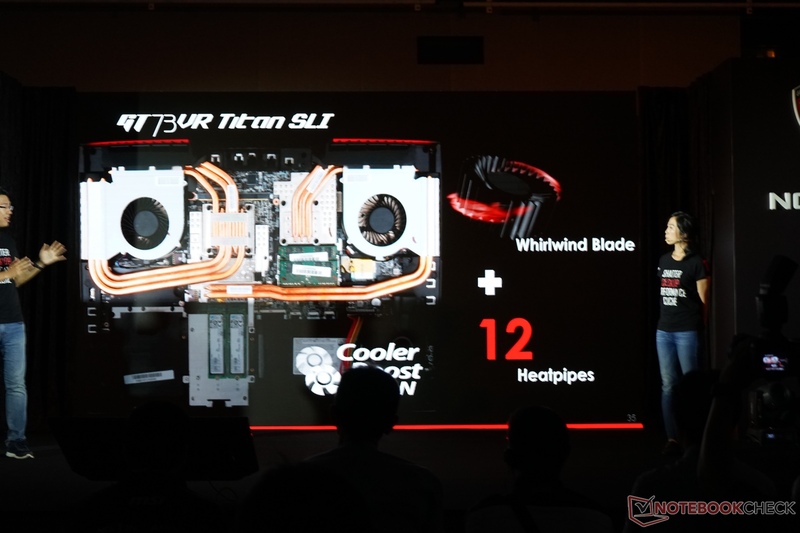 To ensure sufficient cooling for the high-performance components, MSI will use the cooling concept "Cooler Boost Titan" consisting of 12 heat pipes. 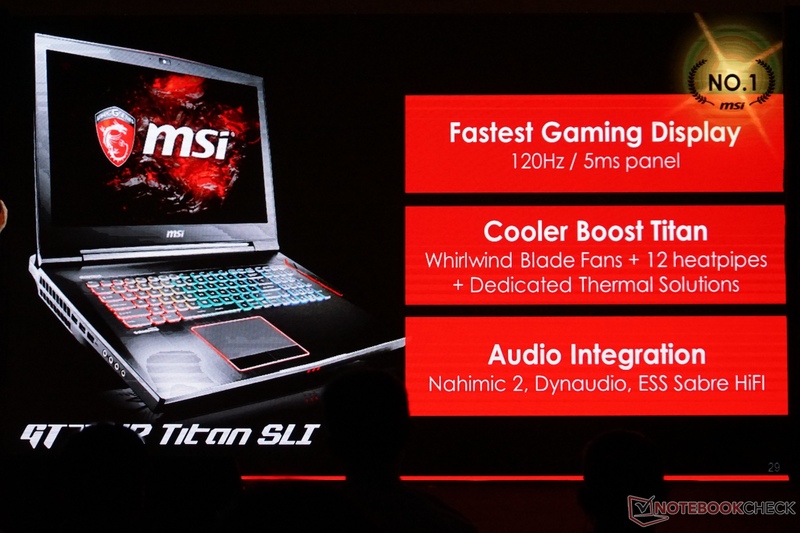 The MSI GT73VR Titan SLI is supposed to stay cool, even when you overclock the Intel Core i7-6820HK. 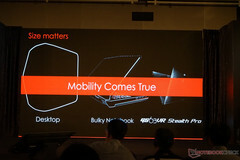 Decent sound is created by integrated speakers from Dynaudio rated at more than 105 dB(A). If 17.3 inches should not be enough for you, MSI also offers the GT83VR Titan SLI, a really brutal and huge DTR gaming laptop. Tipping the scale at around 5 kg and equipped with a giant 18.4-inch Full-HD display, the GT83VR Titan SLI is perfectly equipped for all PC games. 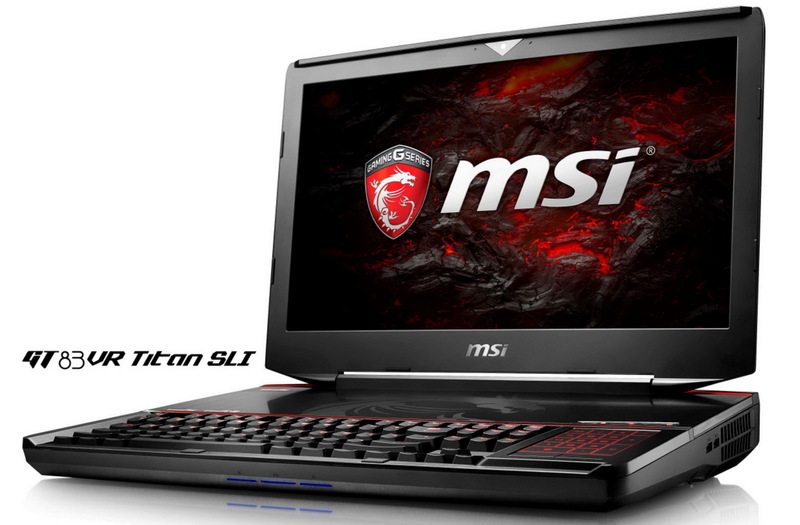 You can either get the GT83VR Titan SLI with SLI systems consisting of Nvidia's GeForce GTX 1080 or GeForce GTX 1070, which can run up to three external monitors in a "Surround View Mode" at 3x 4K @60 Hz. 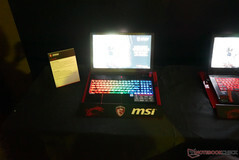 It is also equipped with a SteelSeries keyboard including mechanical Cherry MX (red) keys. 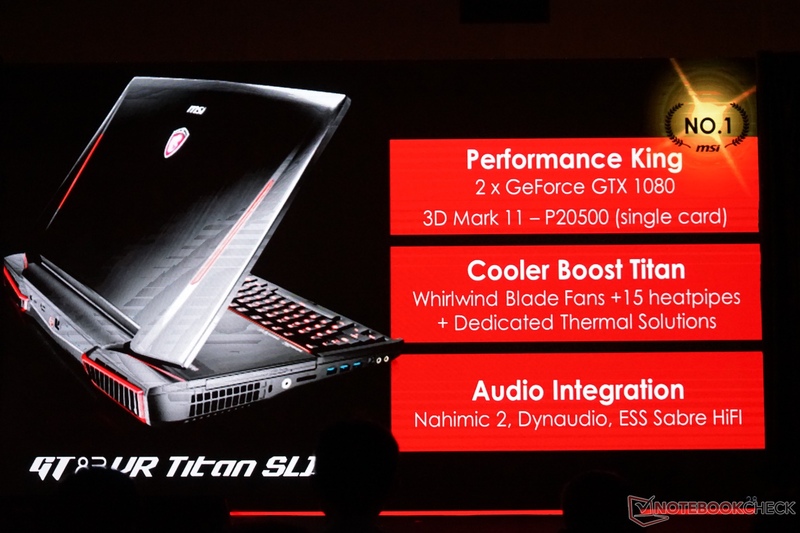 Similar to the GT73VR Titan SLI, the 18.4-inch device uses the "Cooler Boost Titan" for a powerful cooling solution. MSI promises that the GT83VR Titan SLI can keep the TDP of more than 600 Watts (GPUs & CPU) cool. Sound is created by a high-quality ESS Sabre HiFi-DAC as well as Dynaudio speakers. 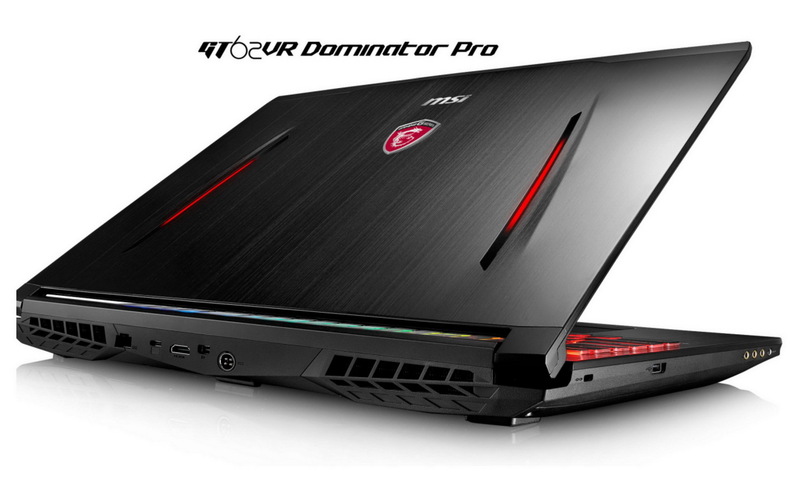 MSI calls the series GT72VR Dominator and GT62VR Dominator its "Enthusiast Gaming platform". Both gaming notebooks are available with the Nvidia GeForce GTX 1070 or GeForce GTX 1060 GPU. 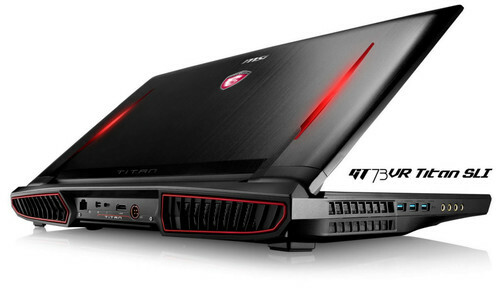 This means the gaming systems can also be used with virtual reality peripherals like the VR headset HTC Vive. 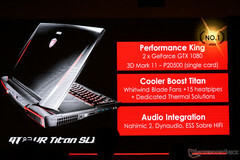 The cooling solution for these gaming models is called "Cooler Boost 4". 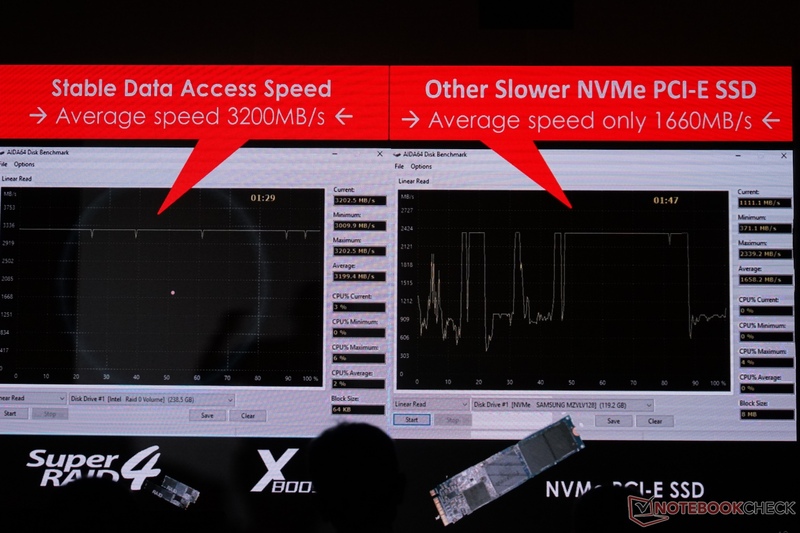 Besides sound components from Dynaudio, Nahimic 2, and Audio Boost 2, the mobile gaming systems are also available with M.2 NVMe-SSDs as well as different SSD/HDD combinations. MSI offers different panels for the GT72VR, including one panel with 120 Hz/5 ms and 100 % RGB or AdobeRGB coverage. 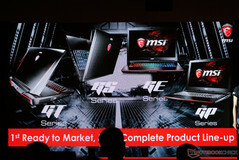 MSI will also sell the GT62VR with a 4K screen (100 % RGB) and "True Color" calibration. MSI's describes its GS63VR Stealth Pro as an ultra-slim gaming notebook thanks to a weight of just 1.9 kg and a height of just 17.7 millimeters. Despite the comparatively compact dimensions, the 15.6-inch notebook GS63 Stealth Pro will be equipped with a GeForce GTX 1060 GPU from Nvidia. The cooling system "Cooler Boost Trinity" inside the GS63VR Stealth Pro consists of 5 heat pipes and "Silent" fans with special noise-optimized wings. 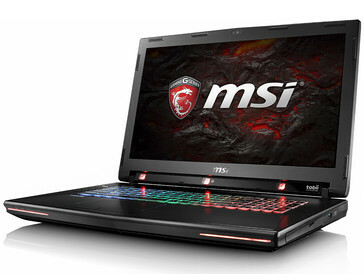 They are supposed to provide reliable cooling performance for the Intel Core i7-6700HQ quad-core processor and the GeForce GTX 1060 GPU even during long gaming sessions. 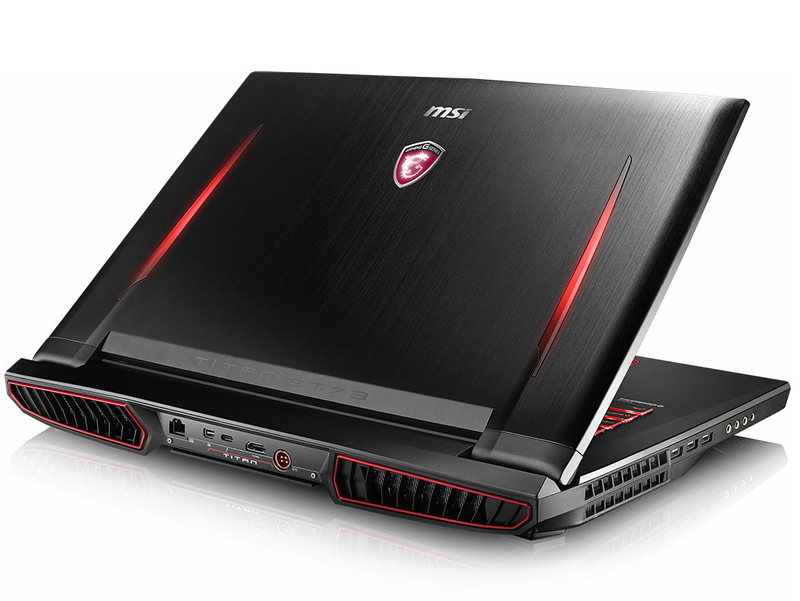 The slim-line models are also equipped with a SteelSeries keyboard including SteelSeries Engine 3 Macro Key Presets and ESS Sabre HiFi-DAC (24-bit/192 kHz). The MSI GS73 uses a frame made of an aluminum alloy for the main chassis and therefore tips the scale at around 2.5 kg depending on the components. The 17.3-inch laptop also gets the brand-new Pascal based Nvidia GPU GeForce GTX 1060. 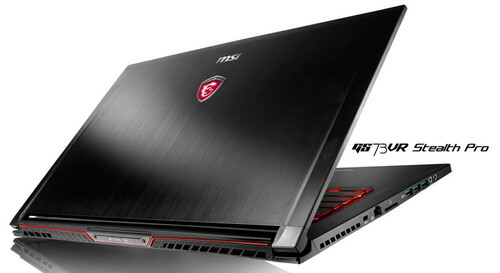 Except for the bigger chassis, the features of the 17.3-inch model are similar to the smaller 15.6-inch sibling GS63VR. 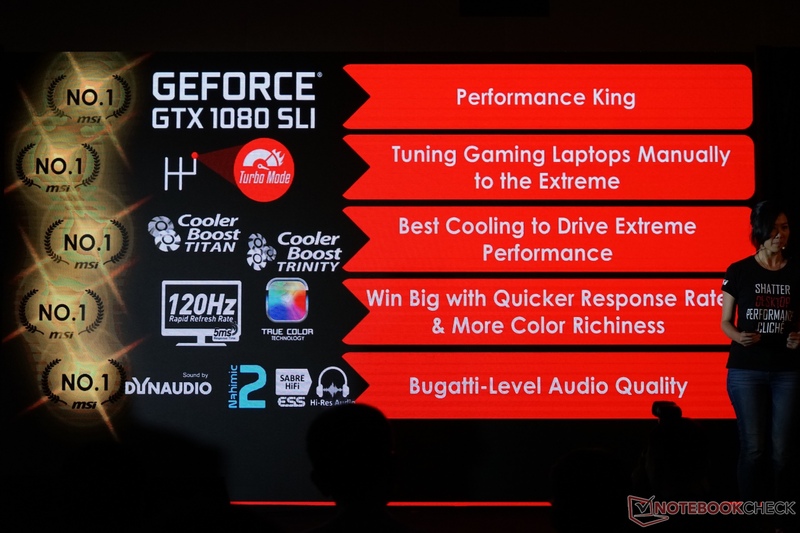 This means you also get "Cooler Boost Trinity", a SteelSeries gaming keyboard as well as ESS Sabre HiFi-DAC and Nahimic 2 Audio Enhance. 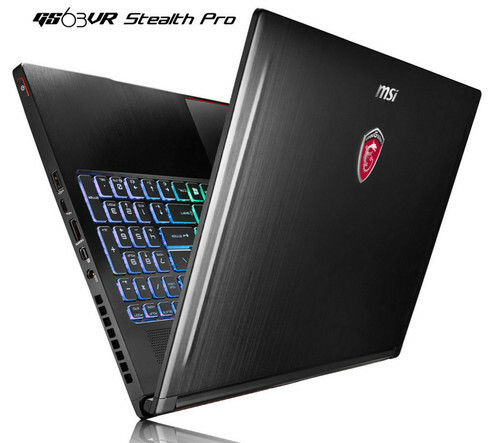 There will also be a GS73VR Stealth SKU with a 4K display according to MSI. 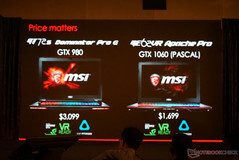 MSI launches its two notebook series GE72VR Apache and GE62VR Apache for the entertainment and multimedia segment. 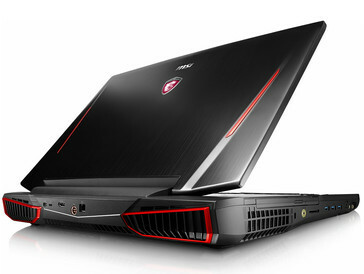 Thanks to the GeForce GTX 1060 and different processor options from Intel's Core i7 lineup, the two entertainment machines are also capable of gaming. MSI equips the series with the cooling solution "Cooler Boost 4", which was reworked compared to the predecessors. 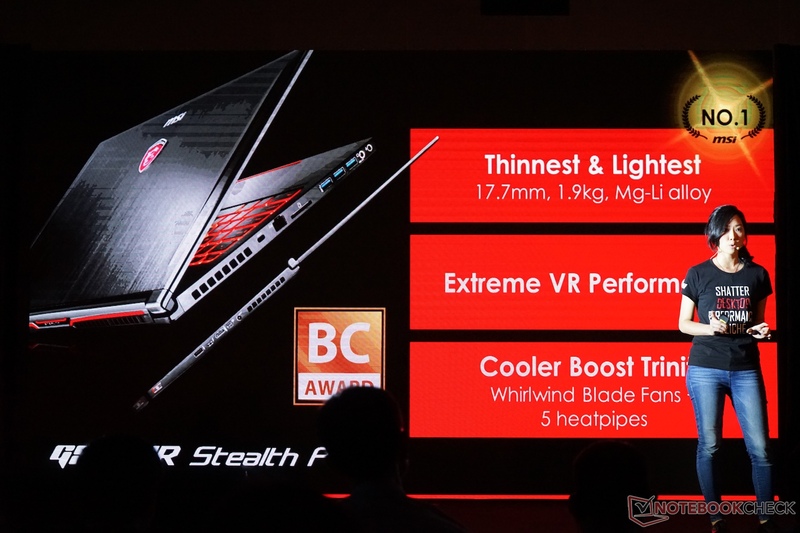 It is supposed to keep the device cool and consists of dual-fans and 6 heat pipes. 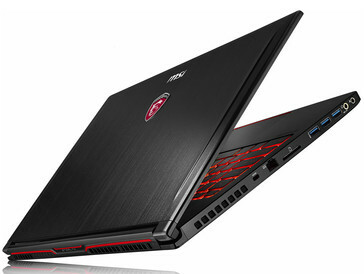 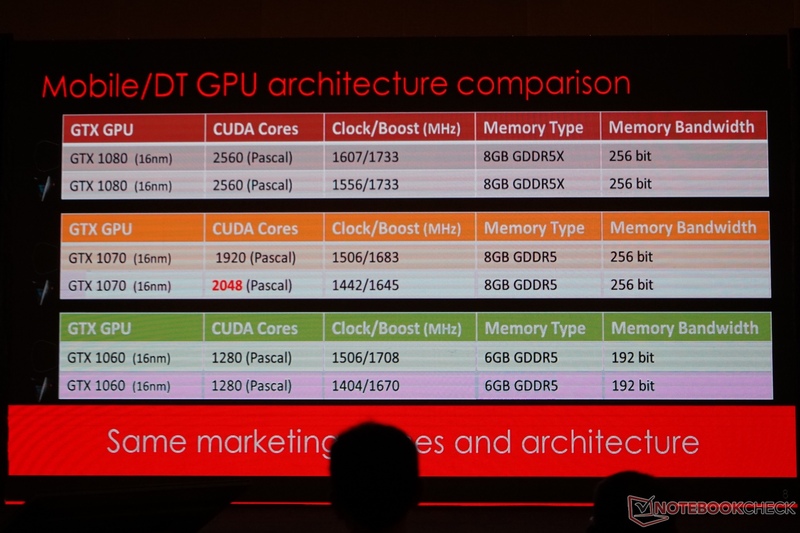 The other features of the MSI GE72VR Apache and GE62VR Apache are not bad, either. The Shift Turbo function of the Dragon Center Control Panel can be used to maximize the gaming performance of the CPU and the GTX 1060. 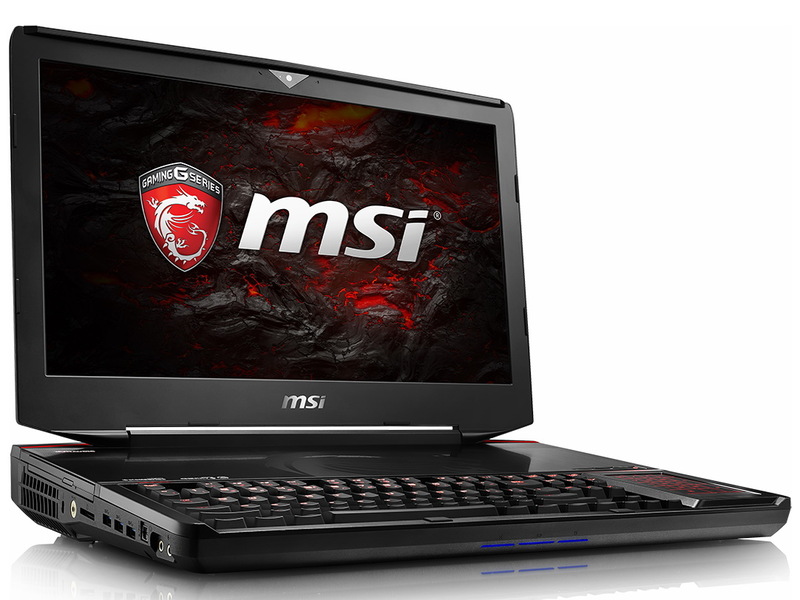 Online games and team battles benefit from the Gamecaster Live Streaming software. 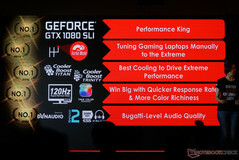 A SteelSeries keyboard, Nahimic 2 sound system with Dynaudio speakers and fast Killer LAN complete the features of the GE series. 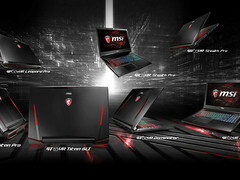 Dragon Center with "1 Click VR Ready"
All new gaming notebooks from MSI will be shipped with the latest version of MSI's "Dragon Center". 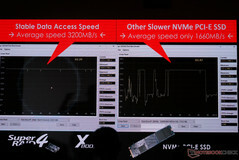 It does not only allow detailed hardware monitoring, but it also includes some special features for the gaming systems. 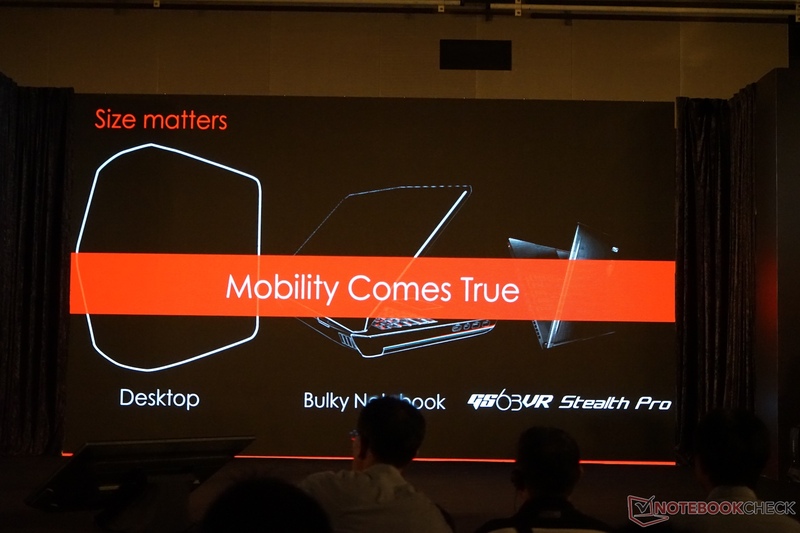 This includes, among others, the Shift feature with up to 5 operating modes and performance levels depending on the model and components. 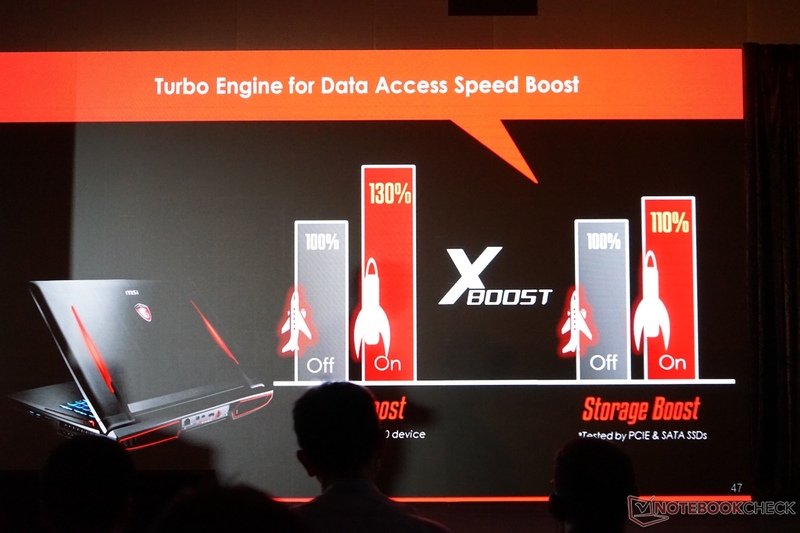 There are also settings for the fan speed, X-Boost for SSDs and the True Color settings (when you have the corresponding display). 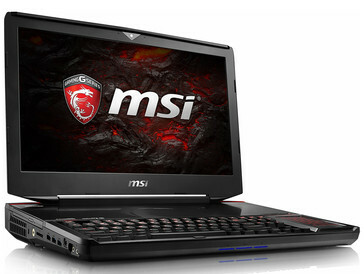 You can also monitor the real-time status of you MSI notebook on your smartphone. 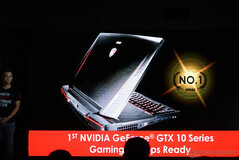 We were able to take some pictures and videos of the new notebooks during the official press conference in Taiwan. 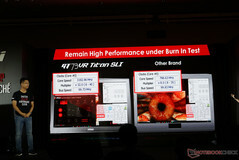 There was a big emphasis on the slogan "Shatter Desktop Performance". 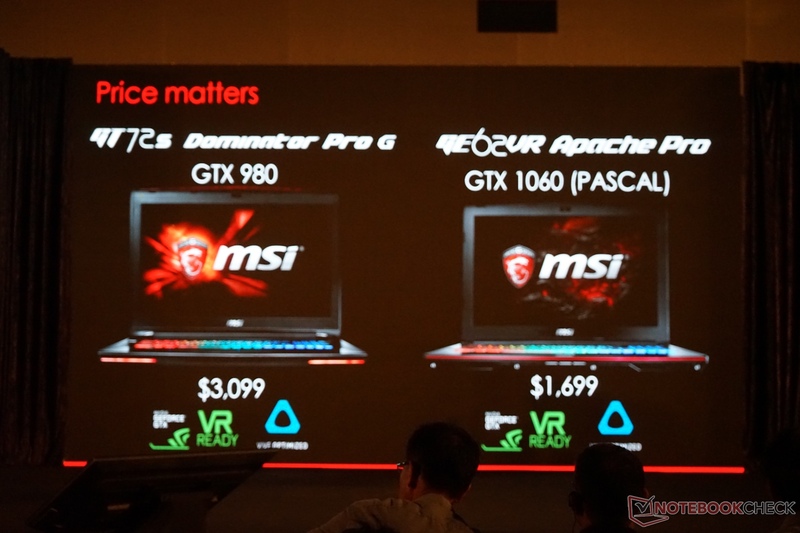 MSI shows that the new Pascal graphics cards are on par with their desktop counterparts. 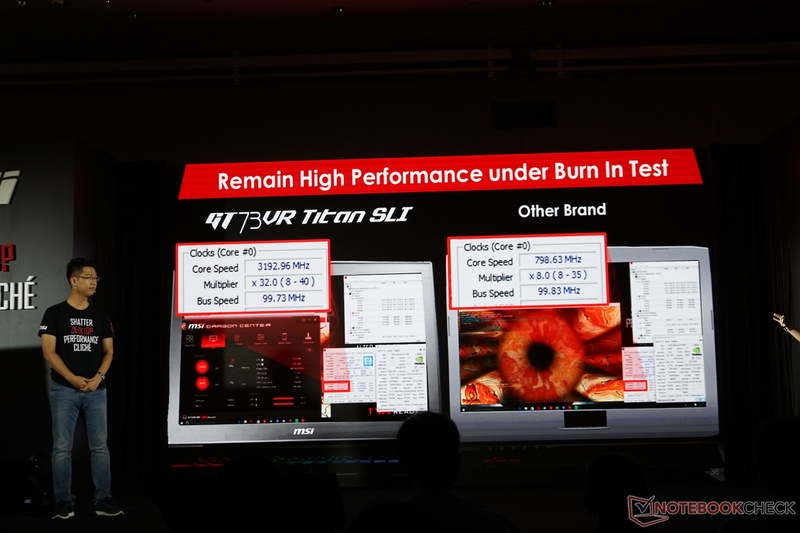 Another focus for the new products is the improved cooling performance and the new sound system, which is supposed to create a much louder and clearer sound. 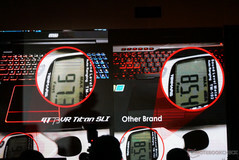 MSI is also proud of its 120 Hz 5 ms display, which is exclusive for a limited time. 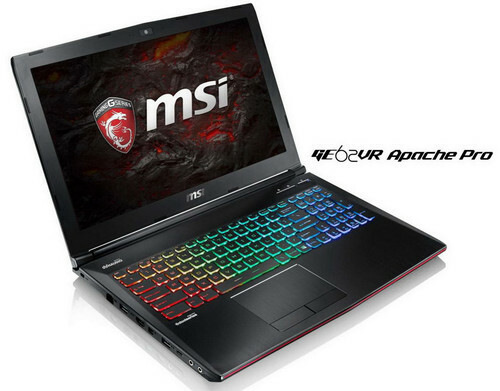 It is based on the TN technology, but it is supposed to offer comparatively wide viewing angles as well as a good color gamut.